Monday Motivation November 26, 2018. Say Thank You And Change Your World. It’s only two small words but they make a world of difference. In fact, they can change people’s lives and change the world in which we live. However more often than not we haven’t time to say them. Of course, I’m talking about those two words – “Thank You”. We live our lives on a frantic freeway, always racing, never time to stop. It’s a 7 day working week nowadays. With all this rush and tear of modern life, we do not have time anymore for some of the most important things in life – valuing and appreciating one another, showing gratitude, acknowledging the goodness of people, giving one another the positive feedback that makes us feel valuable, important and worthwhile – and saying “thank you”. It was Richard Branson who said that for every hour of exercise he does, he gets an extra 4 hours of productivity. Who wouldn’t want to be as productive, have as much energy, achieve as much and be as successful as he is? He does know what he is talking about. Any of us who exercise on a regular basis would agree with him. Exercise gets our hearts pumping. It sends fresh oxygen streaming through our bodies. It enlivens us. Rather than making us tired, it energises us. It clears our heads and brings clarity of mind. It focuses us. It keeps our bodies young and strong. There is increasing evidence that it protects us from a whole range of diseases. 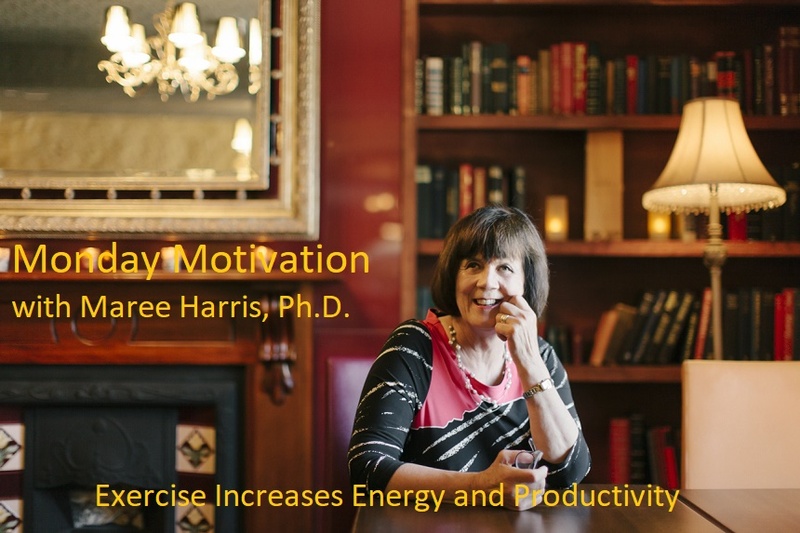 So why, when we know exercise brings increased energy and productivity, do so few of us do it? Do you believe in yourself? Do you, yourself, have a multitude of limiting beliefs standing in the way of your success? Do you need to take your foot off the brake and play a bigger game than the one you are playing now? If you have dreams and aspirations, if you know you have so much talent and ability but fear to put it out there, to test it out in the marketplace of ideas and opinions, you are playing small. Why? Because you worry that maybe you will fall short of other’s expectations, that you will receive embarrassing critiques, that someone will deflate your dream or idea or opinion in one foul swoop. So what do you do? You stay safe. You become the person who everyone says is “such a lovely person” or “a great guy”, the one everyone likes. You become the one your CEO says is “an enormous asset to our organisation”, the one “the organisation would be lost without”, yet you haven’t received a promotion or a new opportunity offered to you in the last 3 years.